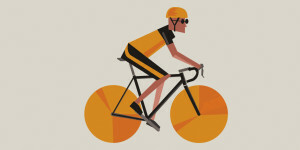 Most road bikes have 700c wheels, but would they ride better if the wheels were bigger or smaller? Cyclists are a picky bunch. We question handlebar width, saddle height, crank length, pedal position and the microscopic composite lay up of our carbon frames. But the central part of the entire miraculous process of our movement seems to go unquestioned: the size of our wheels. We all accept that 700c is just the size that road bike wheels must be, but is it really the best size for performance? The story of how 700c came to be the standard wheel size is a strange one. Firstly, a 700c wheel has a diameter of 622mm and is so named because, apparently, 622mm was close enough to 700 for the name to stick. The only other pretender to the throne was 650c, which actually boasts a diameter of 571mm. ‘The 650c lived a pretty short life, mainly in the triathlon group,’ says Darren Snyder, product manager for Bontrager wheels. ‘There were multiple reasons why the 650 lost out to the conventional 700.’ In practical terms, it was largely because tyre manufacturers didn’t take an interest, but science was also to blame. ‘The theory was that 650c would accelerate faster. But there’s a trade off to any gains of that type. The 650c accelerated fast but it had less conserved momentum because it was smaller in mass, meaning it won’t hold speed so well.’ But there’s more to wheel size than that. A small wheel may theoretically have less friction, but will have a harsher relationship with the road. A smaller wheel could also be more aero and stiffer, but will make serious handling and comfort sacrifices in the process. As Snyder suggests, a bigger wheel has a larger mass, if we assume the material and composition is similar, but more complicated physics also play a part in momentum. Stephen Beck, professor of mechanical engineering at Sheffield University, says, ‘It comes down to “the second moment of area”. 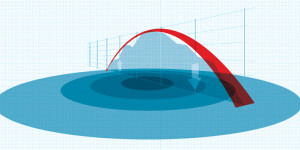 That means momentum is influenced by the area of an object as much as by its weight. The second moment is calculated by the area of the rims times the square of the distance from the hub.’ So a larger wheel will have greater momentum even if it’s the same weight as a smaller wheel. 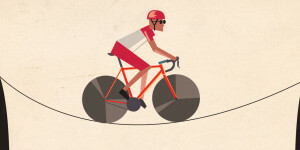 be more flexible if it’s the same cross section and shape as the smaller wheel,’ says Beck. What’s more, a bigger wheel means a bigger frame. 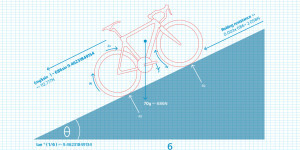 A bigger frame will be less stiff because of the same principles of scale, as well as potentially being less aerodynamic. ‘If you’ve got a bigger wheel on the bike, the rear triangle will need to be bigger, and your front forks will need more rake, so the whole thing has to get bigger. As it gets bigger it becomes more flexible,’ Beck says. out there a smaller wheel could, in the right circumstances, be quicker. 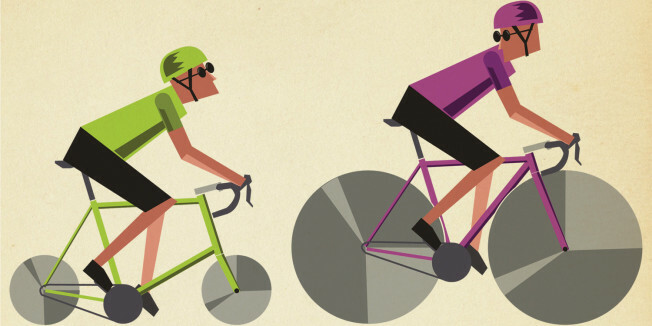 Is the female cycling market still just a case of ‘shrink it and pink it’?